Firearm Training Prices includes: Ammunition, Training Officer, Ear and Eye protection. 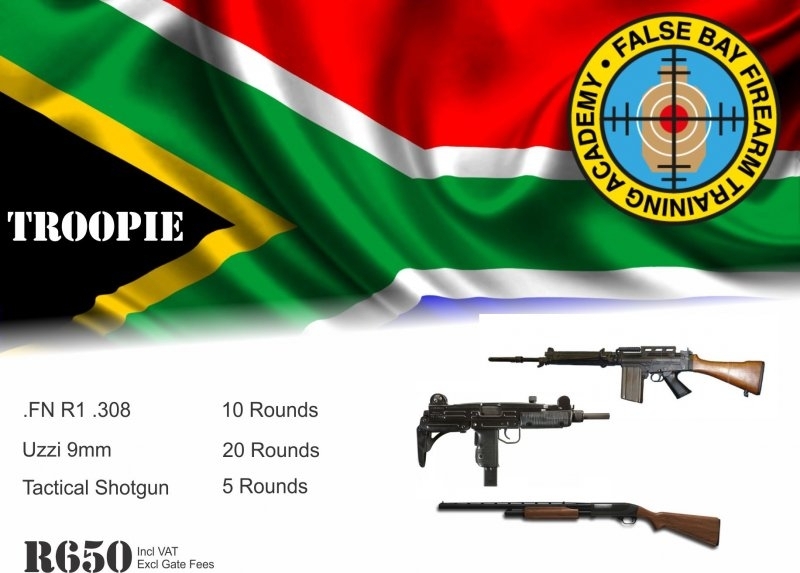 False Bay Firearm Training Academy always adheres to the highest safety standards. Sometimes the selected firearm may not be available and an alternative may need to be chosen or substituted by the Academy. Range entry fee is not included in package prices. Eye and ear protection must be worn while shooting and on the range and will be provided by the Academy. Sunglasses or prescription glasses may be worn as eye protection. 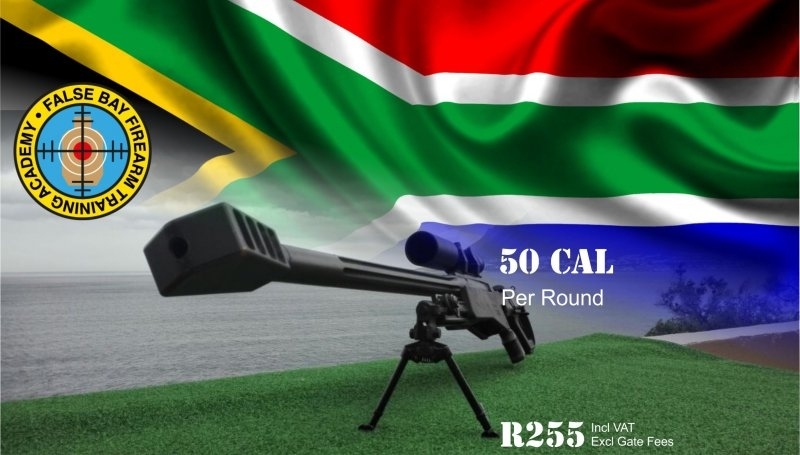 Included in the package is one A4 target per person (or clays for Sniper rifles). For center fire rifles, strictly No steel plates may be shot, unless authorized by the Range Officer. No drums or other ‘targets’ may be shot, unless authorized by the Range Officer. You must remove all your personal equipment and targets when you vacate the range. By hiring any equipment from the Academy you agree to abide by our standard Indemnity as displayed at the Academy. 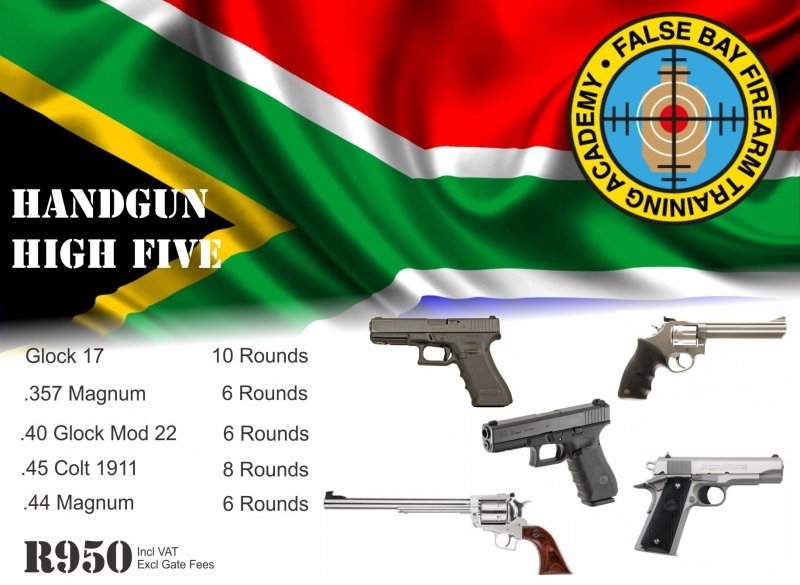 At no stage may you use your own ammunition or ammunition purchased from any other dealership in any of the Academy’s firearms. 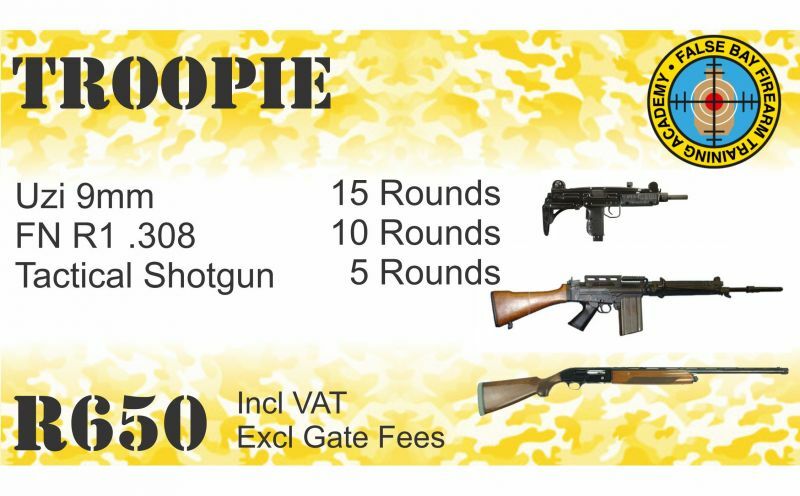 Failure to abide by the above terms and conditions will result in you forfeiting your experience with no refunds and potentially being refused entry to False Bay Sports Shooting Club. Shooting packages and experiences need to be booked and a 50% deposit must be paid in advance. We will reserve your requested time slot for 24 hours, if you are not able to pay the deposit within the allocated time – your reservation may be forfeited if we have another request for the same time slot. We recommend booking a week in advance to help ensure availability.